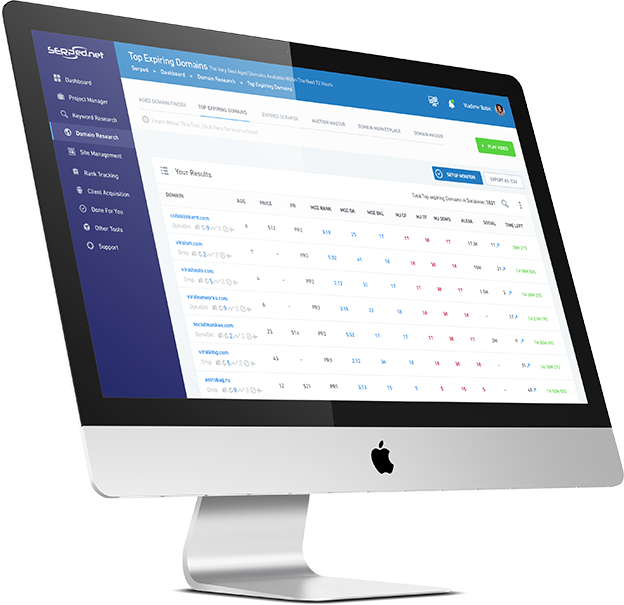 Metrics For Thousands of The Highest Quality Domains & Websites on The Top Marketplaces! 'Auction Master' is a tool that helps you find high quality domains and websites for sale on the top marketplaces, including Flippa, Digital Point, Free Market and After Market. This tool was built to help you find domains for your money sites, clients, next big business projects or even domains for your Private Blog Networks (PBNs). Imagine... The hours, days, even weeks it would take to scan all these marketplaces (every day) looking for domains, then checking their metrics manually yourself, one by one. It is for this very reason that almost no one uses this method to find domains, and why you can now take advantage of some of the best domains in the world!